James “Pat” Williams, born December 2, 1949 in Tacoma to John Joseph and Grace Frances Williams, fifth of their children (John, Fran, Mike and Carol), died March 27, 2019. At an early age he began working for his friend and mentor, Richard Hanson, at Hanson’s Exxon. 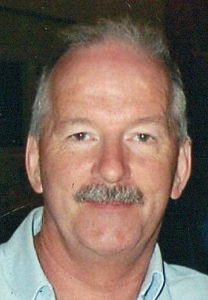 He left to serve along the Atlantic in the Coast Guard from 1969-1973. Upon returning to Tacoma he met and married Rebekah Jill Bowman on November 29, 1974. They have a daughter, Sarah Maynard and son, Morgan Williams. Pat worked 17 years for Pennwalt/Autochem Chemical plant; then became a corrections deputy for the Pierce County Sheriff in 1995, retiring in 2014 after 19 years of service. He loved hunting and playing games but most of all, adored his children and grandchildren (Cole, Connor and Chelsea Maynard). His loving, giving heart was evident to all, especially his family. Even in death, he has given his brain for research hoping that it will benefit others. A service to celebrate his life will be held Saturday, April 6th 1 PM at Urban Grace Church, Tacoma. Donations in his honor may be made to the Alzheimer’s Association. When you have successfully submitted a comment, look in the space above to see your comment. © 2008-2019, Barton Family Funeral Service, LLC. All rights reserved. We routinely serve families in Seattle, Kent, Kirkland, Redmond, Everett, Issaquah, Bothell, Kenmore, Lake City, Monroe, Bellevue, Marysville, Mill Creek, Carnation, Sammamish, Juanita, Marysville, Mercer Island, Mukilteo, Harbour Pointe, Woodinville, Richmond Beach, Brier, Woodway, Duvall, Lynnwood, Edmonds, Lake City, North Seattle, Shoreline, Maltby, Meadowdale, Silver Lake, Renton, Kent, Des Moines, Seatac, Newcastle and more. We have been using the EDRS system for several years for deaths occurring in other counties such as Snohomish County. We know the system well and are trying to help physicians and hospitals as they make the transition. Because King is such a large county, the transition is taking longer than we have experienced in the past, and unfortunately we are all experiencing considerable delays in obtaining death certificates. County and State officials are very cooperative and are working diligently to facilitate the change. We ask for your patience and assure you that we are doing everything possible to meet your expectations.